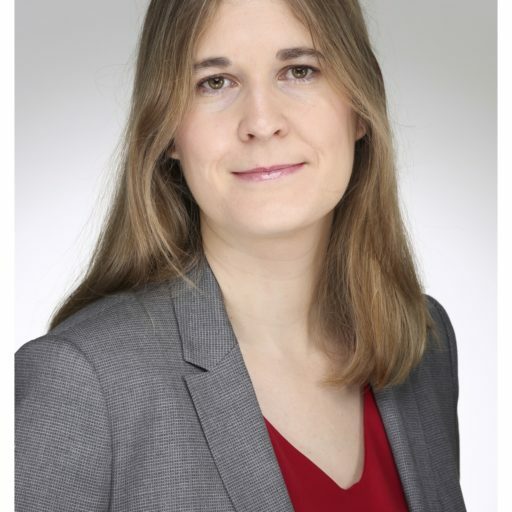 Dr. Michaela Hailbronner ist wissenschaftliche Mitarbeiterin an der rechtswissenschaftlichen Fakultät der Universität Münster. Sie ist Associate Editor des Verfassungsblogs, zuständig für Verfassungsgerichtsbarkeits- und ausländische Verfassungsrechtsthemen. European institutions and governments have come in for a lot of critique over the past few years. Sometimes such critiques have seemed unfair and hypocritical, in particular where those who criticize are no role models either (e.g. the European Union). And judging on a case-by-case basis, some the actions of the Polish or Hungarian governments seem perhaps not that extraordinary. Yet, once we look at the whole, a different picture emerges. As Tom Ginsburg and Aziz Huq have argued in their recent book How to Save a Constitutional Democracy, democracies can erode where we see changes with regard to three fields key to preserving democracy: free and fair elections, liberal rights of speech and association (the public sphere) and the rule of law and the institutions enforcing it, i.e. courts and the administration. In Hungary and Poland, we see changes in all of these areas and this should worry us. On November 13-14, the Wissenschaftszentrum Berlin and the Verfassungsblog took up the challenge to look at all of these three issues together. The overarching question? How resilient would German constitutionalism and its institutions prove in response to the kind of challenges Polish and Hungarian institutions have confronted in recent years? I participated for the Verfassungsblog in the panel sessions on judicial institutions and report on them here (following Chatham house rules). In brief: The news is both good and bad. There is room and indeed a strong case for making some changes in Germany. In particular with regard to concrete rules and arrangements, Germany is surprisingly ill-equipped to handle potential populist assault on judicial institutions. At the same time, much suggests that the broader German democratic and legal cultural background supports a relatively high degree of institutional resilience, even if politics should shift further into a populist direction. Many parts of the Polish and Hungarian stories are well known, and I do not want to rehash them here in detail. A short summary seems appropriate, however (skip if you are familiar with the details, read Kriszta Kovács and Kim Scheppele here if you want a more detailed account): Broadly speaking, both the Polish and Hungarian government have pursued comprehensive strategies of both capturing and weakening judicial and oversight institutions in the last decade. It is important to note, that these strategies are by no means confined to constitutional courts, the issue most discussed in the European press, but have targeted judicial institutions more broadly, affecting both their “de jure and de facto independence”. To capture institutions, older judges have sometimes been forced into early retirement and younger (and loyal) ones hired, as in the recent 2018 Polish reform (targeting both Supreme Court Justices as well as those at ordinary courts) and Hungary’s 2012 reform of the judiciary which forced 274 judges into retirement. 1)See CJEU, Commission v. Hungary, C‑286/12 on this. For more see Halmai, Gábor, The Early Retirement Age of the Hungarian Judges (June 12, 2017) and Gábor Halmai, The Early Retirement Age of the Hungarian Judges, in EU Law Stories: Contextual and Critical Histories of European Jurisprudence (eds., Fernanda and Davis), Cambridge University Press, 2017. Available at SSRN: https://ssrn.com/abstract=2985219. And both in Hungary and Poland “disloyal” judges are increasingly threatened with disciplinary sanctions. Key to such controls are national oversight institutions, including court presidents and prosecutors. Recent Polish reforms have enabled the government to exchange court presidents and fill new appointment. A parliamentary three-fifths majority can appoint candidates to the National Council of the Judiciary, an oversight institution important with regard to new hires etc.2) Anna Sledzinska-Simon, The Rise and Fall of Judicial Self-Government in Poland: On Judicial Reform Reversing Democratic Transition (June 30, 2018) in: The Rise and Fall of Judicial Self-Government in Europe (David Kosař ed. ), available at SSRN: https://ssrn.com/abstract=3216482 or http://dx.doi.org/10.2139/ssrn.3216482 In Hungary, the government early on installed a new oversight institution, the National Office for the Judiciary, headed by a Fidesz supporter (Tünde Handó) who holds key responsibilities with regard to the appointment of court presidents, judicial administration and new appointments, with the National Committee of Justice (which suffers from a number of organizational deficits) being largely sidelined.3)https://verfassungsblog.de/judges-under-attack-in-hungary/ Add to this increasing governmental influence on legal education and governmental smear campaigns against individual judges as well as attempts to overhaul the administrative court system with reference to the German (!) example.4)I am grateful to Kriszta Kovacs for pointing this out to me. Both in Poland and Hungary, changes have also been made with regard to the prosecution agencies, albeit in rather different manner. In Poland, recent reforms have merged the function of Minister of Justice and Prosecutor General who holds the power to demote prosecutors (according to estimates roughly 1500) and promote and appoint others. In addition, courts have been obliged to accept illegally obtained evidence and prosecutors may escape disciplinary liability if they can show that their actions were in the interest of the case pursued. Though formally independent, the staffing of the Chief Prosecutor’s Office with Fidesz loyalists has led to similar results in Hungary. Though Hungarian prosecutors mostly do not yet seem to use their power as aggressively as their Turkish counterparts who have been arresting and jailing political opponents and civil society activists, they have also been reluctant to investigate massive cases of governmental corruption, even in cases where other institutions strongly recommended proceedings. In addition, both the Polish and Hungarian governments have sought to curtail the power of some judicial institutions. In the Hungarian case, the Constitutional Court was early on stripped of its power to exercise constitutional review over budgetary and tax issues. In Poland, the government refused for some time to publish judgments of the Constitutional Court. Since its capture it is now attempting to use the Court to declare Art. 267 TFEU unconstitutional “to the extent that it allows referring to the Court [of Justice] a preliminary question … in matters pertaining to the design, shape, and organisation of the judiciary”. [5)https://verfassungsblog.de/will-poland-with-its-own-constitution-ablaze-now-set-fire-to-eu-law/5] But quite apart from such straightforward attempts to curtail judicial power, the broader attacks on judges also contribute to weakening courts in the longer run. Perhaps unsurprisingly, the discussion suggested that not all factors that contribute to weaken judicial authority are of recent vintage. Several commentators, however, also argued that the weakness of courts to resist governmental measures was linked to the preservation of a formalist style of legal interpretation to the exclusion of broader and more principle-oriented styles of judicial argument, a heritage of the communist era. Where does all this leave us and what are the lessons for the Germany? The first one is simple and straightforward: Constitutionalize key norms that secure judicial independence and at least a certain degree of prosecutorial independence. The appointment of judges is generally a matter of Länder competence in Germany and accordingly, different institutions are responsible for the selection of suitable candidates including the respective ministers of justice, courts or a mix of both. This state of affairs as well as the lacking independence of German prosecutorial agencies have been the subject of repeated criticism and reformist zeal in the past – without much success, however. In particular, a suggestion by die Linke in 2013 to amend the Basic Law with a clause providing for judicial self-government did not attract sufficient support. Indeed, it has been suggested by the German Judges Union (Richterbund) that as a matter of constitutional law comprehensive judicial self-government might be incompatible with the principle of democracy. Though this is not the place to rehash that debate in its entirety, the constitutional argument would presumably be weaker if there was some parliamentary involvement, potentially along the lines of the appointment of constitutional court judges, i.e. requiring a supermajority for appointment (a fairly obvious candidate for constitutionalization). Requiring cooperation among major political parties can, of course, be a recipe for partisan gridlock. At the same time, when they do work, consensual mechanisms provide a nice counter-point to the divisive us-and-them rhetoric of populists. All this is not to say that constitutionally enshrined self-government of the judiciary or prosecution will be a panacea against all attempts to capture a judiciary, but it might help to slow down capture should it come to that. Last but not least, it would also deprive other European governments of the opportunity to refer to the German case to make the case that their own arrangements, similar to the German ones, surely pose no problem. With several contributors pointing to the importance of broader background conditions for the robustness of judicial institutions, the workshop also held some good news. Long held styles of legal arguments, the entrenchment of European and international law within domestic legal systems, independent law schools and the organization of legal training more broadly play a considerable role for reinforcing judicial independence and the protection of human rights. Influencing such background conditions is, of course, not an enterprise of a few years but rather of decades of combined efforts by lawyers, law teachers and political actors. When it comes to Germany, the good news is that many of these supporting background factors are in place: a purposive and principled style of legal argument, significant influence of constitutional and European law on domestic law and their integration in law school curricula as well as a fairly rigorous system of legal education that may help reinforce legal expertise as a relatively independent source of authority and doctrine as a mainstream language that can be shared across the political spectrum. Naturally, there is room for improvement: Contextualizing doctrinal arguments in public law may help law students to better understand how law and politics connect and take seriously the role of law in sustaining democracy. Similarly, we might think about integrating European law and human rights more strongly still within the standard curriculum rather than teaching them as separate classes (as some law faculties including my home institution in Münster are starting to do). Ultimately, however, the workshop also reinforced an old lesson we tend to forget: that the power of law and lawyers is limited and that nothing replaces democratic action on the streets, within political parties and for electoral campaigns. 1. ↑ See CJEU, Commission v. Hungary, C‑286/12 on this. For more see Halmai, Gábor, The Early Retirement Age of the Hungarian Judges (June 12, 2017) and Gábor Halmai, The Early Retirement Age of the Hungarian Judges, in EU Law Stories: Contextual and Critical Histories of European Jurisprudence (eds., Fernanda and Davis), Cambridge University Press, 2017. Available at SSRN: https://ssrn.com/abstract=2985219. 4. ↑ I am grateful to Kriszta Kovacs for pointing this out to me. SUGGESTED CITATION Hailbronner, Michaela: How Can a Democratic Constitution Survive an Autocratic Majority? A Report on the Presentations on the Judiciary, VerfBlog, 2018/12/08, https://verfassungsblog.de/how-can-a-democratic-constitution-survive-an-autocratic-majority-a-report-on-the-presentations-on-the-judiciary/, DOI: https://doi.org/10.17176/20181209-204056-0.